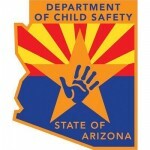 The Arizona Department of Child Safety requires that all foster care and adoption agencies train through a set of curriculum from Foster Parent College. This training is led by an Arizona Faith and Families trainer who has been certified to deliver the material, and also has first hand experience with foster care and/or adoption. The training is blended with five in person sessions totaling 15 hours and four online sessions to be completed at home. The class is designed to prepare families to work with children who have suffered from abuse or neglect and and how to help them manage their behaviors. The training process incorporates videos and small group activities along with personal stories from the trainer to give prospective parents an accurate look at how fostering and adopting will affect their family.